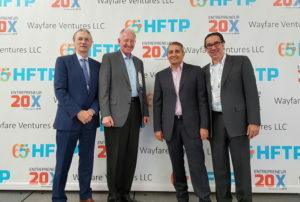 Wayfare Ventures, where Dave Berkus is a Managing Partner of this 2018 vintage fund, has begun an active search and is already making investments in early stage companies in the travel technology industry. Founded as a result of a discussion with the Executive Director of the industry’s premiere association, HFTP, five partners have come together to found the venture firm. Partners include Prakash Shukla, former VC and former CIO of the TAJ hotel chain, Jeff Lapin, former President of Starwood Hotels and current member of numerous travel tech boards, Jyoti Narang, recent COO of Taj Hotel Group, and Ned Cloonan, former VP of AIG, one of the world’s most influential Wall Street finance industry companies.